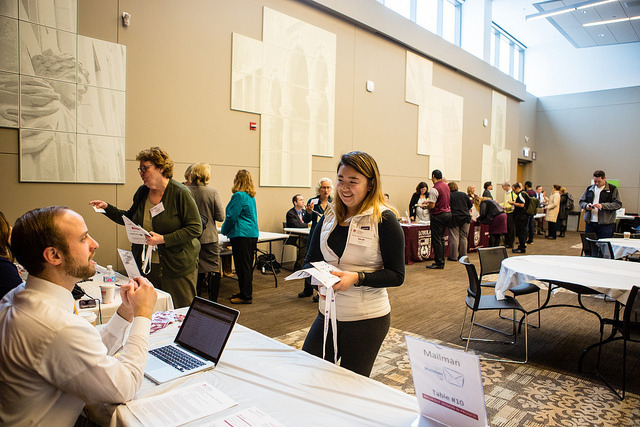 The 4th Annual Loyola Information & Technology Showcase will be held on Thursday, February 21st from 9:30 am to 3:00 pm in the Damen Student Center. Come learn about library and technology resources available to the University community. Take advantage of a variety of breakout sessions and a full array of resource tables from vendors like DocFinity, Oracle/LOCUS, ProQuest, and Gartner. All Loyola students, faculty, and staff are invited to attend. Registered participants will receive a box lunch and have an opportunity to win raffle prizes including a new laptop computer. Visit the Info & Tech Showcase Registration page to register for the event. For more information, please visit the ITS Info & Tech Showcase Event page. See you there!